In this MPC Renaissance & MPC Studio tutorial, I’m going to show you how to hack the MPC Software to make Vintage Mode available and unrestricted in both the MPC Renaissance and MPC Studio! ‘Vintage Mode’ is the exclusive MPC Renaissance feature that attempts to emulate the sound of classic samplers such as the MPC60, MPC3000 and Emu SP1200 – it is applied across your main audio outputs using the dedicated ‘Vintage Mode’ button. Naturally it’s a feature MPC Studio owners have lusted after, and thanks to some digging and experiments by MPC-Forums.com member AnSolas, Vintage Mode is now available to MPC Studio owners. But that’s not all; it’s also available to MPC Renaissance and MPC Studio owners for use as a standard VST plugin, just like any other VST effect. This means it can now be applied to separate tracks or pads and all four emulations can be utilised simultaneously. Please note that some people are having problems getting this to work with MPC Software 1.7. It seems that you must have the vintage mode hack already installed in MPC Software 1.6 before you update to 1.7 – so if it’s not working for you in 1.7, uninstall 1.7, reboot your computer, install 1.6, apply the hack and then update to 1.7. At this point, only use ‘Scan New’ when adding new plugins. So what is ‘Vintage Mode’ exactly? These four VSTs should be there even if you only have an MPC Studio as they appear to form part of any MPC Software installation. 1. Copy the Vintage Mode VST plugins to a separate folder. Now hit ‘Rescan All’ or ‘Scan New’. At this point I suggest you quit the MPC Software and restart it (no need to reboot your system). A software restart is required otherwise I find the Ring Mode plugin either doesn’t show, or it’s the only one that shows. And of course, you can also use Vintage Mode plugins in the track mixer and across the master outs, just like any other VST plugin! This is an unofficial hack, so no one can guarantee it will be bug free. If it causes issues, simply deselect your custom plugin folder from Preferences, rescan and restart the app. 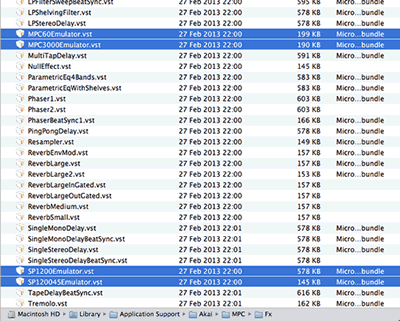 Please note that these VST plugins do not appear to work in other applications. What Do Akai Say About This? “our plan was eventually to allow vintage mode on individual tracks, but since this is untested, your mileage may vary. Also, as you see, there’s no GUI as yet. we’re looking at implementing this fully soon”. Currently, there’s no confirmation as to whether or not this is officially going to make it on the MPC Studio as well – we’ll have to wait and see. Fingers crossed. I thought Vintage Mode was hardware based? You’re not alone – many people assumed this, including myself. Unfortunately much of this stems from a NAMM 2012 interview where an Akai rep mistakenly stated it was purely hardware based. Dan cleared it up in the same video linked to earlier (at around 1.20). The confusion stems from the fact that the Ren has an audio interface that utilises the same analog circuitry design found in 1990’s samplers such as the MPC3000. While this no doubt adds a unique character to the Ren’s audio output (even without the Vintage Mode button enabled), the actual sampler specific modelling is handled purely by the software plugins. What’s this about Ring mode being a preset for the ‘Decimator’ Plug In? These three parameters are identical to those on the Decimator plugin that ships with the MPC Software, which seems to suggest that Ring Mode is nothing but a preset for that Decimator plug in. If that’s the case, I would suggest it is perhaps pointless installing the ‘SP120045emulator‘ VST – just use the existing Decimator and apply the above settings! Will this hack work in later versions of the MPC Software? We will have to see – if there is a problem with future versions I will update this article. Edit: Yes indeed, it appears something has changed in 1.7, so it’s not possible to install the Vintage mode hack on ‘virgin’ MPC Software install. However there is a workaround – uninstall 1.7, reboot your computer, install 1.6, apply the hack as per this article, then update to 1.7 – if in the future you need to add more plugins, use ‘Scan New’ and not ‘Rescan All’ otherwise the plugin scanner in 1.7 will eject the existing vintage mode plugins. Let me know in the comments if you have any problems or workarounds that don’t require going back to 1.6 temporarily. Again, props to AnSolas for discovering this cool trick! 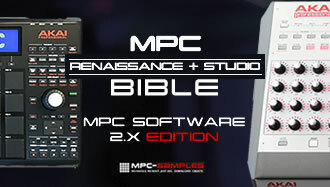 If you’re looking for help with your MPC Renaissance or MPC Studio, check out my latest tutorial book ‘MPC Renaissance & MPC Studio: Sampling Laid Bare‘, packed full of hands-on sampling and program building tutorials for the MPC-Software. Subjects covered include drum layering, sound design, chopping, building finger drumming kit, creating realistic multisampled keygroup programs, and much more. GGet more information about ‘MPC Renaissance & MPC Studio: Sampling Laid Bare‘. I believe some people have tried getting it to work in other apps but they were unsuccessful. how is it realized in the mpc renaissance, when you play the vintage mode button – is the vst applied to the tracks of programm mixer? or of the tracks mixer? or both? an master aswell or not? Any luck yet with somebody getting this to work with Ableton? Question! Does the MPC studio can be used as a hardware (.no laptop comp) , or is it just a slave controller ? Does this work in 1.5? I was able to lay the VST over the master outs but when I click on the individual VSTs to change the parameters I just get a white screen where the “wet/dry, decim, bitreduction” should be. Does this mean they aren’t working? Not a glitch – the 60/3000 effects appear to be dedicated VSTs designed purely for the task of emulating the 60 or 3000 – there shouldn’t be any parameters to tweak. The Ring mode ’emulation’ on the other hand is clearly nothing but the existing ‘Decimator’ effect plug in with some settings pre-applied for you, hence the option to bring up those parameters. However i followed all steps to get this to work and it does but only the sp1200 45 emulator gives me options to adjust the dry wet/ decim/ bitredcu settings. If i pull up sp1200 emulator, MPC60 Emulator or the MPC 300 emulator i can use em but i can’t adjust any settings. 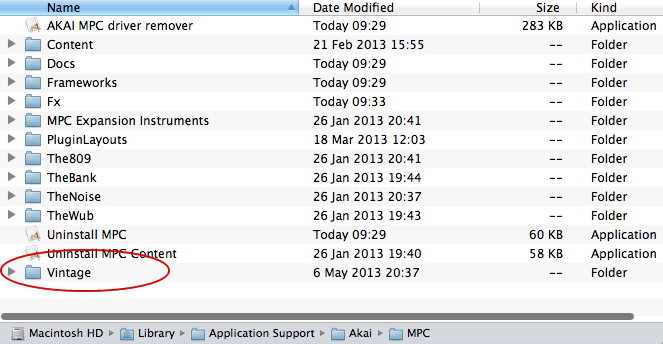 Im currently using the mpc studio running 1.5 64 bit on a mac os x 10.9… Can we adjust the setting on all ? I had to redo this “hack” after installing mpc software 1.6 but it’s working! For example　”the wub” this plugin, I have imported and scan, but the MPC studio is undetectable. I can’t use the wub plug-ins.For help! Whenever i try to scan new plugins it say load failed and doesnt work. Anybody have a fix?